So, it’s about to be summer and where are you off to? If you are flying somewhere, a comfy airplane outfit is key. The longer the distance the more comfortable you need to be. I’m all about style but I endured a 17 & ½ hour plane ride to Sydney last summer and believe me I was only thinking about comfort. You simply choose items that fit in these general categories based on your travel needs and your own personal style. While your destination may be warm, airplanes and airports can get cold so a top layer to keep you warm is always a good idea. A light sweater or even a comfy wrap may be all you need. It’s also a good idea to throw this in your day bag during your travels for chilly nights or chilly restaurants. Anything goes here as long as it’s comfortable. It’s best to stick to pants, jeans or leggings. You won’t be cold, on the plane and according to this article it’s best to stay away from dresses and skirts during plane travel. Comfort is key. Until you are sitting on the plane there may be a lot of standing around waiting or even running to make your gate. Choose your footwear wisely and go with comfort. As you can see from my graphic you can take this simple formula in many different directions. Choose a look that inspires you for your next trip or check out my Pinterest board dedicated to Summer Airplane looks. Here’s a few rules to keep in mind when planning your Airplane Outfit. Even though the temperatures may be warm at your destination, on the plane that’s a different story and layers are key to dealing with fluctuations in temperature. 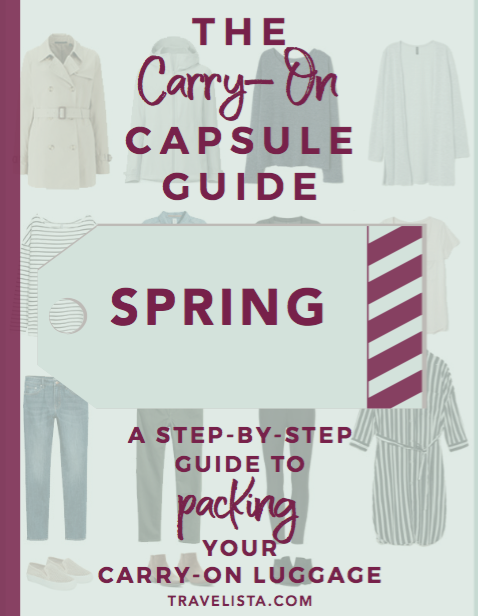 A light jacket, sweater, wrap, or kimono won’t take up much room but will keep you warm when the in-flight temperature drops. On overnight flights keep in mind that your body temperature will naturally drop and you will feel cold. For more on layers, read here. Even when traveling to warm destinations it’s always useful to carry a light outer layer because museums and restaurants can have their air conditioning cranked up to compensate for warm temperatures outside. Another advantage to layers is that the more layers you wear the less you have to haul around in your carry-on luggage. If you’re on a long haul flight you want to stick to darker colors. If you happen to spill coffee or wine on yourself you don’t have to worry too much about visible stains. On shorter flights you can take your chances with lighter colored clothing. The longer the flight the more your outfit should emphasize comfort than fashion. Looking pulled together is important but there’s ways to pull it off without looking too sloppy. Leggings with dresses, jeans with stretch, joggers, technical pants like these from Athleta are all good options. Unless you are wearing leggings underneath avoid wearing dresses and skirts. I’ve never worn them in transit without leggings but after reading this article I don’t think I ever will. A scarf is an absolute “Travelista” essential. It will help you when temperatures get cold on the plane and you can always keep it in your bag for chilly nights or chilly restaurants. It’s also the key to pulling off a celebrity type airplane outfit. Shoes that are easily slipped on and off and that are comfortable are ideal ones to wear during airplane travel. Airline travel is not always easy especially when you have to run to your gate after standing in a never ending security line. 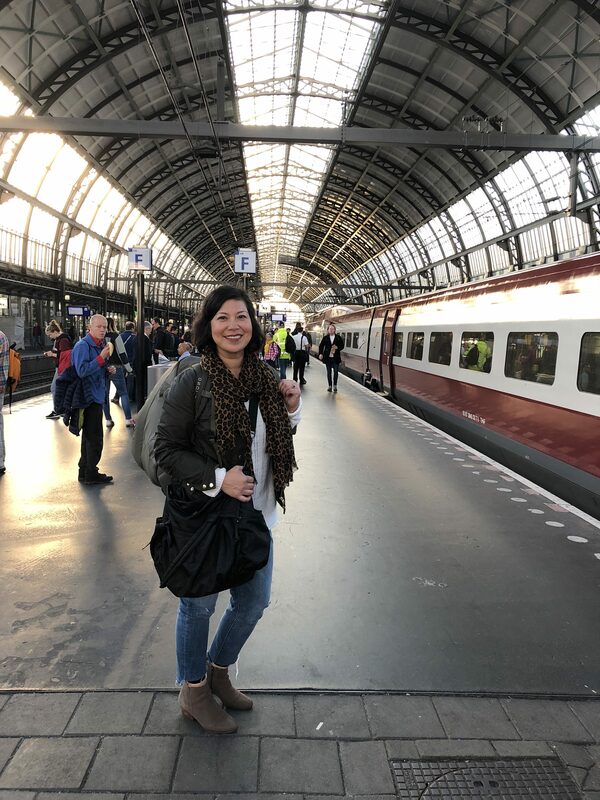 Sometimes it takes half an hour to board – and you are standing the whole time like on my last trip I had to stand in line to go down some stairs to stand around some more to wait for a bus where once it arrived all the passengers stood on until it took us to our plane. Closed toe shoes are best but summer travel doesn’t always allow for that. If you do happen to wear open toed shoes, bring socks in case your feet get cold. You will have to take them off when going through security and the less you have to keep track of the better. The longer your flight the more important this is. If you are wearing skinny jeans or leggings make sure they aren’t too constricting and have a little give to them. Stay away from fussy fabrics and styles. Keep it simple because you don’t want to be worrying about staining a silk blouse or adjusting fussy clothing. Yes, pajamas are comfortable but they aren’t appropriate for travel, instead try joggers or loose fitting wide cut pants or leggings and a long tee. Also there’s been several stories about people getting kicked off planes for wearing revealing clothing – don’t be that person. 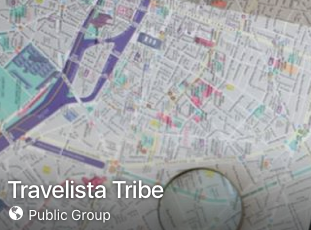 Join the FREE Travelista Tribe Facebook Group here! No email sign up required.